This Time, You Get to Fly, Drive and Swim in Vehicles! 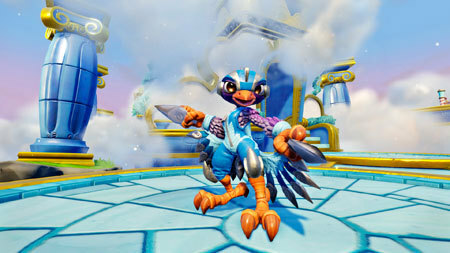 In previous games, Skylanders have been brought to life, toy to screen, as you battle the forces of evil and Kaos. 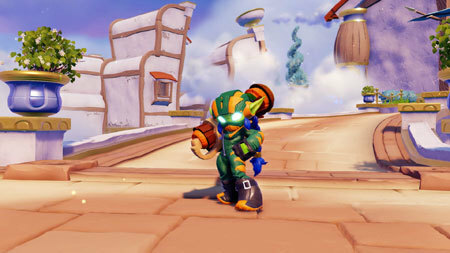 In the most recent game, Skylanders Trap Team, we got to use Traptanium to trap villains and use them for good. This time around, we’re getting to use vehicles! You’re Getting New Characters, Too! We’re going to be able to use vehicles that work on land, sea and in the air. We checked them out and you can actually play with them outside the game! Within those three elements, we have different types of vehicles. For land, we have race cars, dragsters, motorcycles and tanks. For sky, we’ve got jets, old school planes and helicopters. For sea, it’s not just submarines. We’ve got boats and hovercrafts, too. The new characters (and some new versions of beloved favorites, look and feel different. You can, of course, play with your old favorites. They work with all the vehicles, too. You Can Still Use Your Traps! The traps from Skylanders Trap Team still work, of course. (There is a new portal with this game, and it has a spot for them. By the way, you can use your old portals as well. 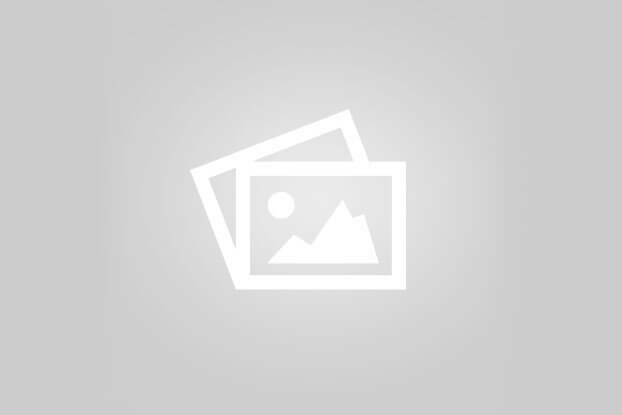 Previous portal owners can download the game with the Digital Owners Pack and use their favorite.) Your traps are ‘elemental ammunition’ now. When you’re in a vehicle, you can put a trap in the trap slot, and you’ll get a limited time use, really, really powerful elemental ammo. If you’ve captured villains from the previous games, you’ll unlock an exclusive Sky Stones card! More on that later. In the game, Kaos has a huge new weapon. The Doom Station of Ultimate Doomstruction, a giant metal Kaos head that is eating the sky. Of course. 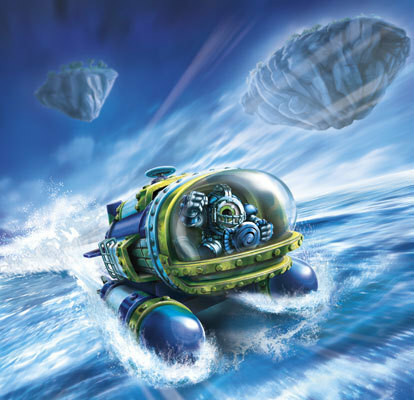 It’s tearing apart the connections between the portal masters to the Skylands. Our elite team, the Superchargers and their vehicles are powered by rift engines, which are helping us reconnect. We saw the first part of the story in a section about a third of a way into the game in a place called the Cloud Kingdom. We don’t want to spoil the story for you, but here’s how it works. 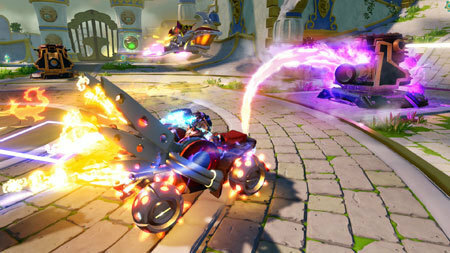 This time around, you’re going to put your vehicle and your Skylander on the portal. We saw Hot Streak, which is a land vehicle. You get all your info about the features, which you can customize. Then you add your Skylander. This time, it was one of the new ones, Storm Blade. 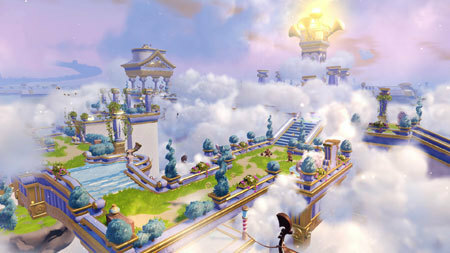 The first part of the level features Storm Blade on foot. Then, at a point during the game, you have to use your vehicle, which appears through a portal. You’ll be collecting gear bits as you drive, which you can use to upgrade your new ride. 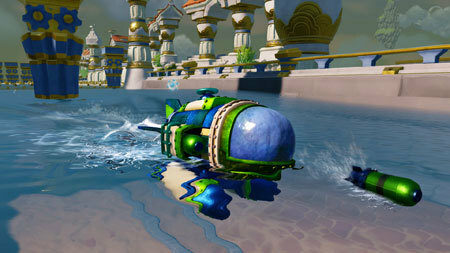 On different levels, you’ll be able to fly jets and use things like the SuperChargers Dive Bomb, which you use to either dive below the surface or ride on the top of the water. You’ll have to move between them to reach your goals. A lot has changed. We’re going to see a level that is a moving temple on the back of a dragon. We have enemies who eat clouds and change size. Even the mini-game puzzles are a little more complex (and still awesome). There will be 40 new toys for you to choose from. 20 characters and 20 vehicles. 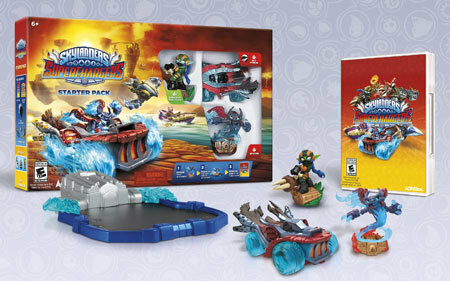 The Starter Pack comes with the characters Spitfire (Fire), Storm Blade (Air) and Super Shot Stealth Elf (Life), and vehicles Hot Streak (land), Sky Slicer (air) and Dive Bomber (water). If you connect specific character and its matching vehicle, you have a supercharged combination that will give you extra power. Oh, and Stealth Elf? Yup, that’s the one you remember. She’s just got brand new weapons and attacks. Sky Stones is Still in the Game! For fans of Sky Stones, the game has been upgraded this time around. 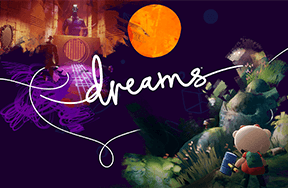 There are new player abilities, new strategies, unique encounters and a ton of new Sky Stones to build your own deck. The name of the game is now Sky Stones Overdrive! 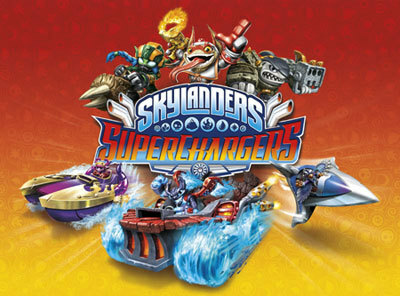 Skylanders SuperChargers will be released for PS3, PS4, Xbox 360, Xbox One, Nintendo Wii, Nintendo WiiU, Nintendo 3DS and iPad on September 20th, 2015! Are you guys excited for the new game? Let us know your thoughts below!